I’m back! I know it’s been pretty quiet on Eating Covent Garden recently as I’ve been doing a lot of travelling. Gathering exciting stories and recipe ideas for all my readers, naturally. While I do love exploring the world it’s always great to get home – and to get back into the kitchen. And I was particularly looking forward to creating some exciting new recipes using my new range from Morsø. Morsø‘s new Nordic Cookware collection is crafted from stainless steel, so they are great for cooking on while also looking really stylish, as you can see. 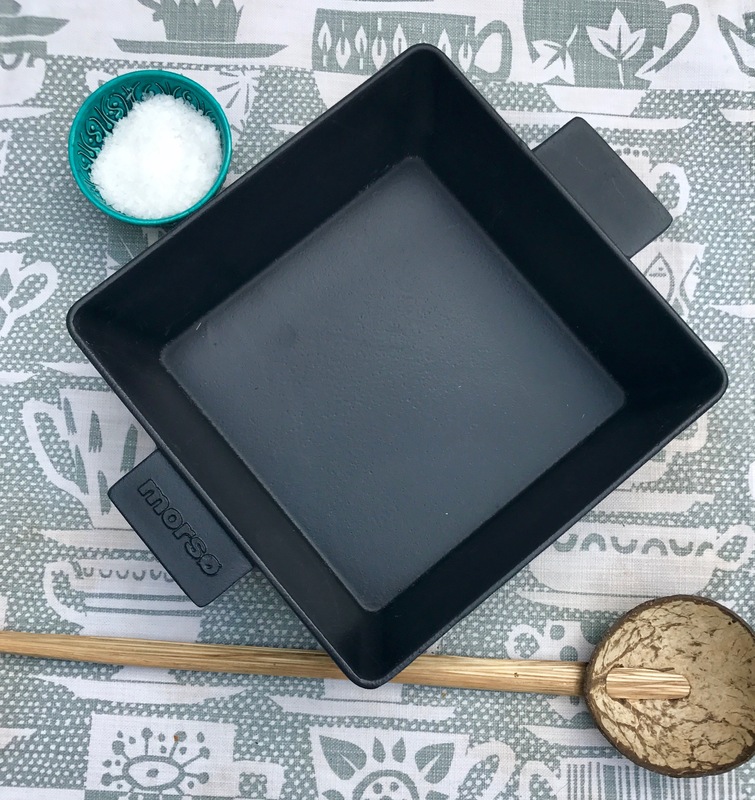 All items offer great versatility as they can be used in the oven, on all types of cookers, including induction, on the grill and the barbecue. Today I’m cooking in my beautiful new Morsø Piaf. 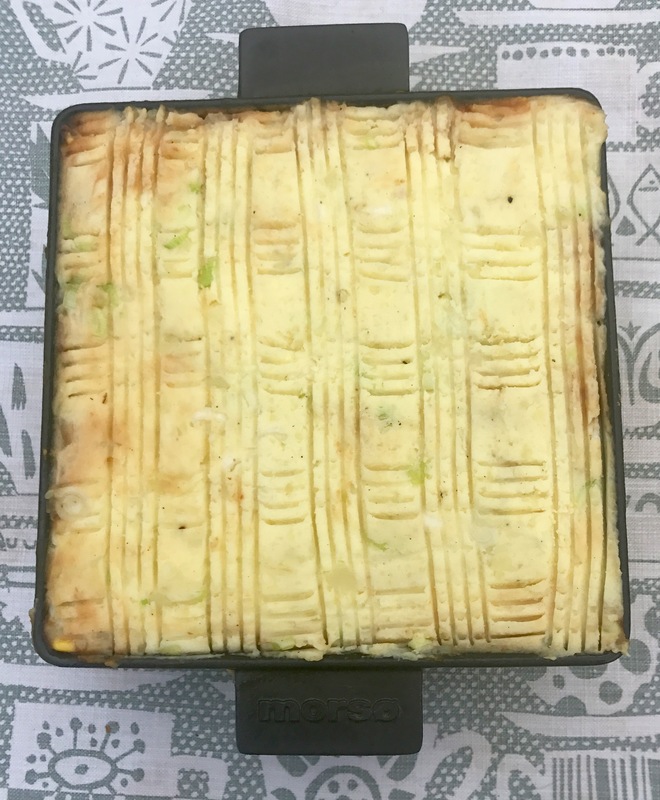 I love the look and feel of this dish and it inspired me to come up with a wonderfully tasty recipe. 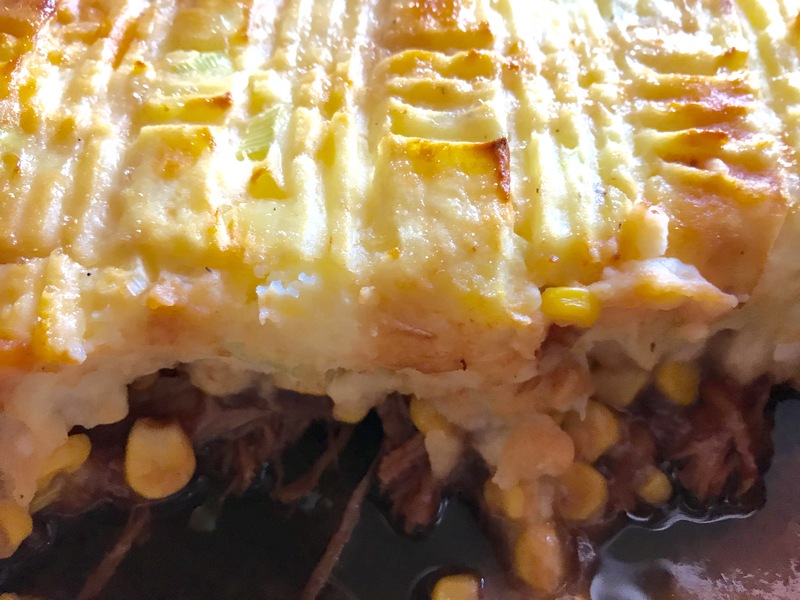 I love the comfort of a shepherd’s pie and here I’ve come up with a kind of pork version using slow cooked pork with a tangy barbecue sauce. 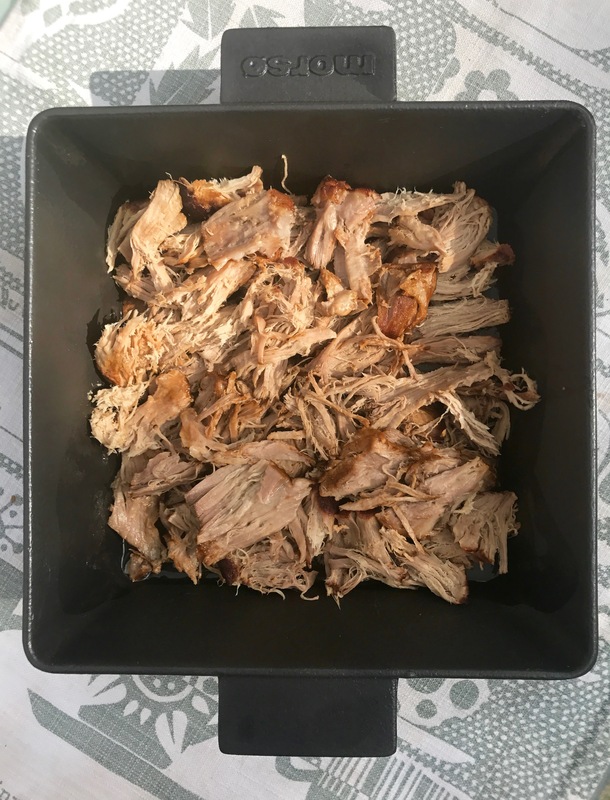 If you don’t have a slow cooker you can do the pork in the oven on very low, just make sure you keep an eye on it. I added sour cream and finely chopped spring onions to the mash which gave it a lovely something extra. Heat the oil in a frying pan to a medium-high heat. Fry the pork until it is well browned on all sides. 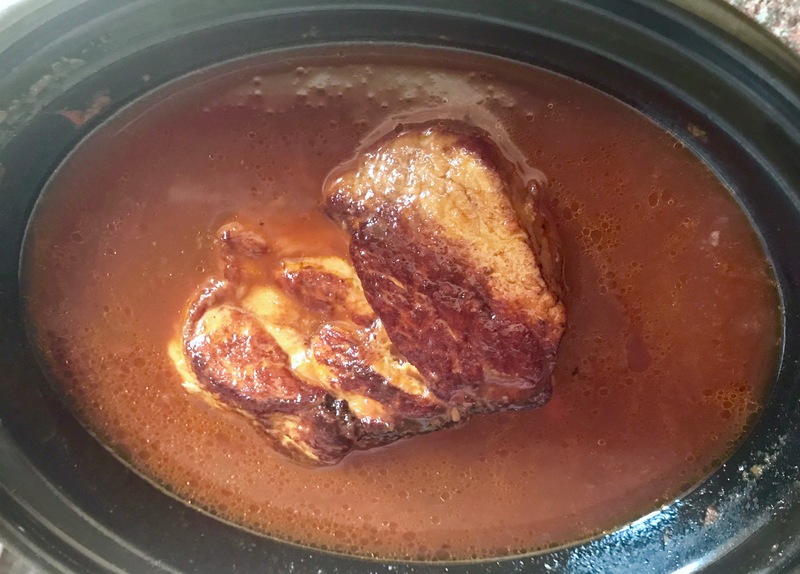 Pour the onion soup, ketchup vinegar and sugar into your slow cooker and stir. Add the pork and make sure it’s well coated with the sauce. Cook on a medium-low heat for 4-5 hours. Remove the pork and let it rest for about 10 minutes. Then shred it, using two forks. Peel the potatoes and boil until the are soft. Mash with the sour cream and spring onions. 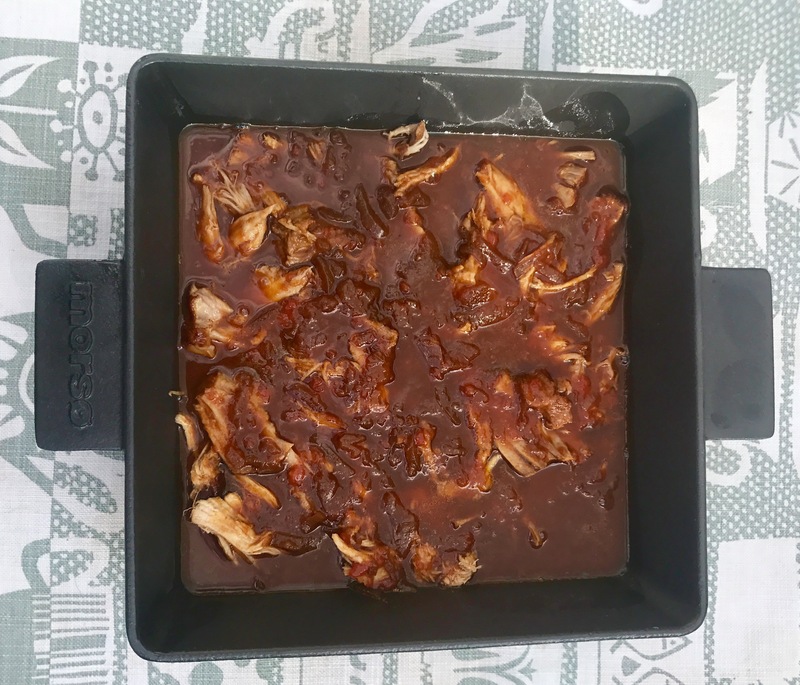 Add the barbecue sauce to the mixture you cooked the pork in. Now start layering. First layer the pulled pork on the bottom. Then spoon over about three-quarters of the sauce. 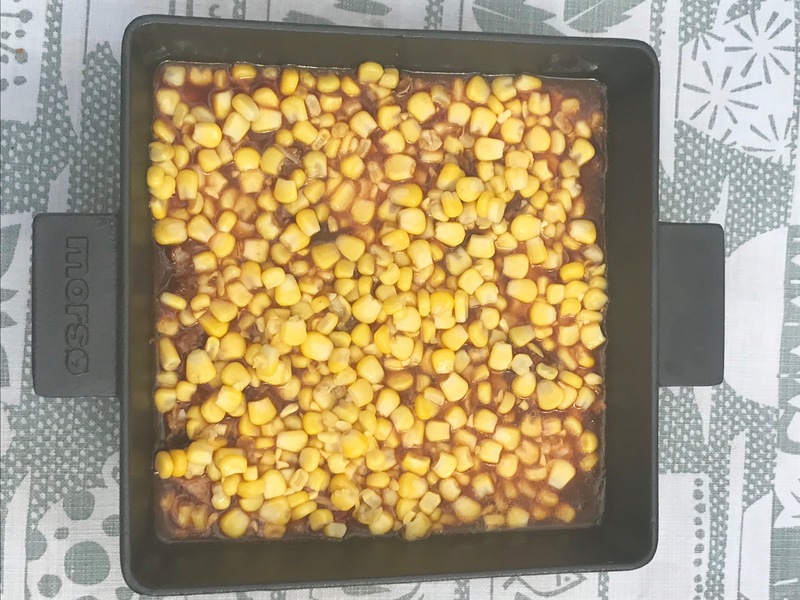 Add the sweetcorn as the next layer. Brush the top of the potato with the beaten egg. Cook in the oven for about 30mins at 180C until it’s golden on top and slightly bubbling. 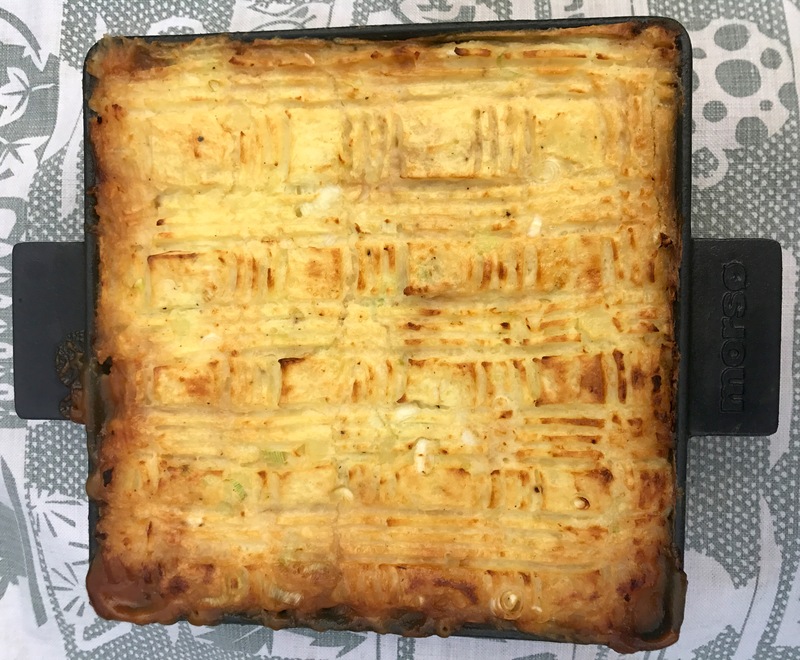 This is one of my favourite recipes I’ve ever come up with. The best pork pie ever! Now that I’m inspired by my exciting new range of pans, there’s plenty more to come, so watch this space. I’ll be doing lots more cooking with Morso. Thank you, it is a delicious recipe. And the cookware is stunning! I love it. Hi Jules, I will email a copy to you.